For tagging large numbers of animals, this tagger is excellent for tagging calves, sheep, and goats. 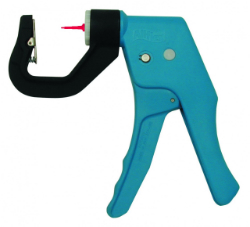 Contoured pistol grip handle and automatic applicator. Retracts the pin out of the ear before the animal can react. Packaged complete with loaded pin and replacement pin.